Mohit Kumar from Delhi, B.Ed Graduate. 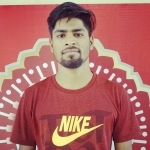 Mohit Kumar is Sports Management and currently have no work experience. SPORTS MANAGEMENT OPERATIONS EVENT PLANNING & MAN..
are one of expert skill area's of Mohit Kumar . Mohit Kumar is working in Others industry.